Golf swing setup fundamentals are really important if you want to play your best golf. The first part of a good setup is a correct Golf Grip. The grip is important to have correct in order to have an effective golf swing. Things like grip pressure will also affect how well you are able to swing your golf club. Golf Alignment is another important fundamental you want to have correct in order to help your swing path. Many golfers will misalign themselves to their target forcing them to have to compensate in order to try and hit the ball where they want it to go. Your Golf Posture and your Golf Stance have to do with how you are standing while addressing or setting up to the golf ball. It's good to be in a nice athletic stance with your weight on the balls of your feet. 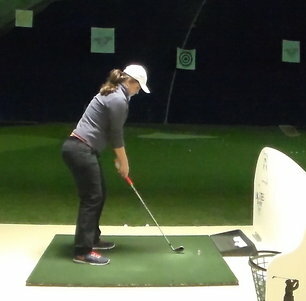 Proper golf posture is important for staying in balance while you are swinging.